Front of the recipe card for Rhubarb Torte. 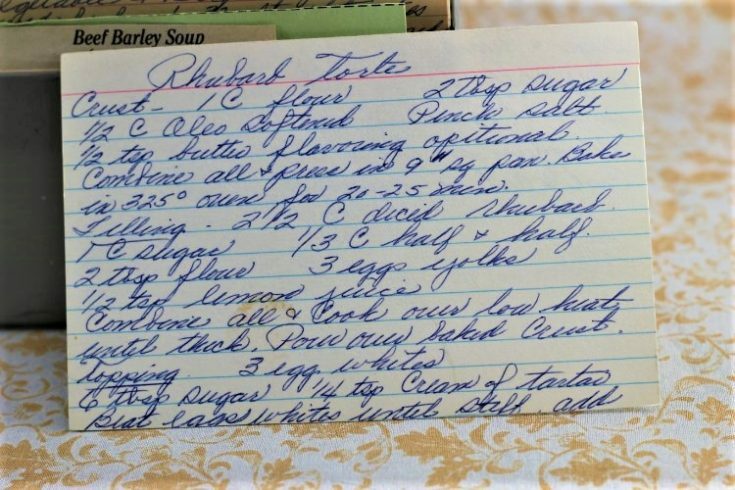 Back of the recipe card for Rhubarb Torte. 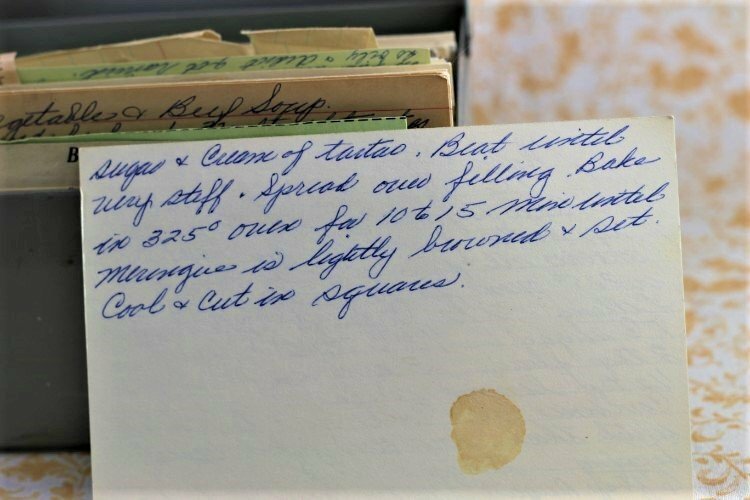 There are lots of fun recipes to read in the box this recipe for Rhubarb Torte was with. Use the links below to view other recipes similar to this Rhubarb Torte recipe. 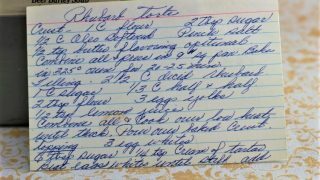 If you make this Rhubarb Torte recipe, please share your photos and comments below! Press in 9" square pan. Bake in 325° oven for 20-25 min. For the filling combine the rhubarb, sugar, half and falf, flour, eggs, and lemon juice and cook over low heat until thick. For the topping beat egg whites until stiff. Add sugar & cream of tartar. Bake in 325° oven for 10 to 15 min until meringue is lightly browned & set. Cool & cut in squares.